In August 1966, a 14-year-old boy in Beijing is thrust into violence and chaos as the Cultural Revolution begins to blaze across China. Fifty years later, Red Fire, Growing Up During the Chinese Cultural Revolution, offers the first intimate account from someone who lived through these events and survived. What was the Cultural Revolution like as seen through the eyes of a child? How do people surrender themselves to ideological frenzy? How does one break free? Wei Yang Chao tells a riveting story: how rebels attacked and publicly humiliated his family, upended his education, and sent him out into a country rendered unrecognizable by violence and radical ideology. At heart a gentle boy, when he is swept up by the Red Guards he finds himself at the center of a bloody revolution. The unflinchingly observant narrator of Red Fire reveals his families' struggles in an increasingly isolated and hostile culture. Sent to boarding school in Beijing, young Wei Yang finds that beyond the gates enclosing that peculiar, closed world, conflict roils Chinese society. After mass rallies at Tiananmen Square, he witnesses attacks on teachers and professors, and the disintegration of his parents' lives as tolerance and freedom begin to crumble and he himself is cast into exile. 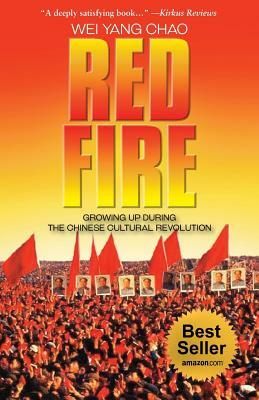 Red Fire chronicles social upheaval through the keen yet naive eyes of a teenager, giving readers a fascinating and unprecedented glimpse into the Chinese Cultural Revolution. This is a rare and mesmerizing account, told with real force and heartbreaking honesty.